With NYC catching a cold this weekend, our glass is half full as we count down the days until Yanks pitchers and catchers report to Spring Training (26 as of today!). And so, we’re excited to release a brand new brew to the draft-only portfolio. 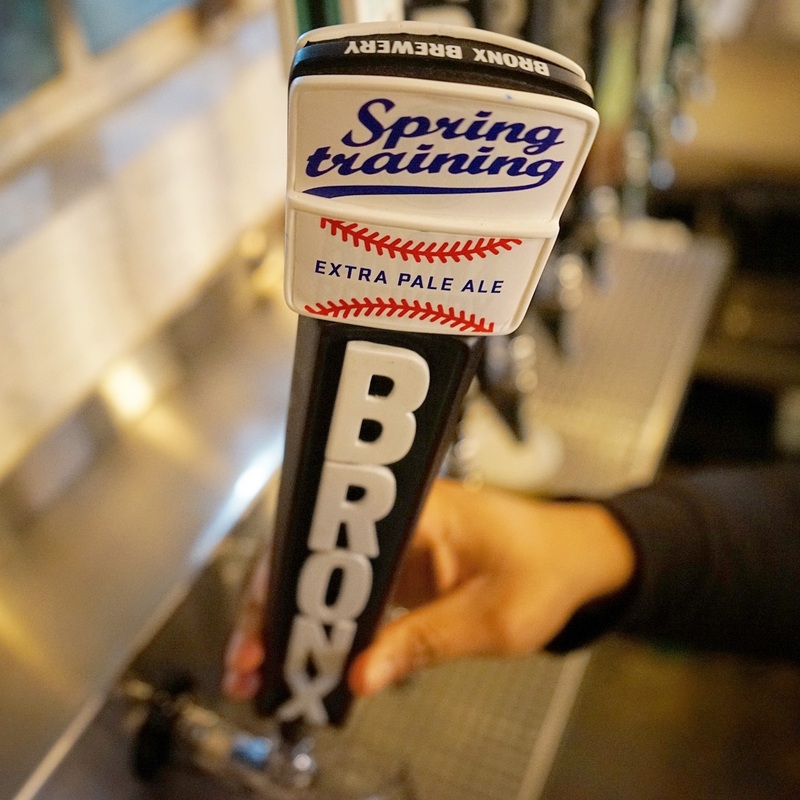 Spring Training is an Extra Pale Ale brewed with Palo Santo Wood which brings a woody, almost-tropical, flavor/aroma to this balanced and easy drinking brew. We just tapped it in The Taproom and it’ll soon be available everywhere else!